Not an accident. . . necessary! 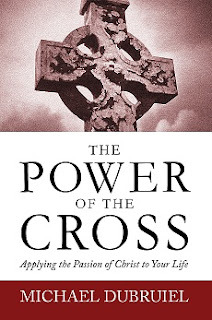 Father Groeschel frequently quotes St. Augustine in this regard: “God does not cause evil, but that evil should not become the worst.” So, when a car struck him that January night, Father Benedict’s faith told him that there was a reason for this cross, a reason that ultimately God would reveal in time. This is the power of the cross for the follower of Christ: No matter what happens to us or can happen to us, we are not defeated. Years ago I worked with someone who told me that her mother had labeled her and her brother as “accidents”—two unwanted, unpleasant surprises. Unwilling to think that a parent would say such a thing, I assumed my colleague’s recollection of her mother’s words was exaggerated. Some years later, I was introduced to her mother. In the course of conversation, the topic of abortion was raised. The woman pointed at her daughter and said, “If abortion had been legalized when I was young, I would never have had any children!” By that time she was an old woman; her daughter, who was divorced, lived with her and was a faithful companion. I pointed out that, had abortion been legalized, she would now be alone. “Wouldn’t that be great!” the mother replied. I left their home feeling very sad for both of them. Without the gospel message, some people see only accidents in their lives—all of which have prevented them from reaching some dreamed of earthly paradise. They never seem to realize they cannot reach this paradise without help from above. Coming to the tomb of Jesus that first Easter morning, the women discovered an angel there, the rock rolled away. It was a shocking and unexpected sight. The guards, who were there to make sure that the disciples did not steal the body of the Lord, were also witnesses to this. They were overcome with fear—to the point of being “like dead men.” One experience, two groups of people, two different reactions. One group looks at the empty tomb and rushes to tell what they have witnessed. The other group is paralyzed by the life event. This wasn’t just something that happened thousands of years ago; it happens every moment of every day. Those who see the cross as the end of their life, meet death there; those who believe and place their trust in God, find in the cross life and victory. St. Peter Chrysologus (the “golden-worded”) was known for his clear and simple style of preaching. About the angel’s appearance at the tomb, he preached, “Pray that the angel would descend now and roll away all the hardness of our hearts and open up our closed senses and declare to our minds that Christ has risen, for just as the heart in which Christ lives and reigns is heaven, so also in the heart in which Christ remains dead and buried is a grave.” For those who do not believe, life unfolds as a series of accidents. When a follower of Christ sees his life in exactly the same way, Jesus calls that person foolish, slow to believe. Someone like that needs to redirect his attention to the cross. The procession of the cross that begins and ends each celebration of the Eucharist should help us to redefine our lives whenever we witness it. As the Mass begins we join all of our crosses to the cross of Christ, asking the Lord to have mercy upon us for our inability to see. We listen to the Scriptures to once again learn about all the necessary events of our lives, proclaim the Church’s belief as our own, and give thanks to God as we offer the sacrifice that he has provided for us. We then receive the Living God before the cross leads us back into the world! Having received the life of Christ in us, we are better able to extend that love to others.